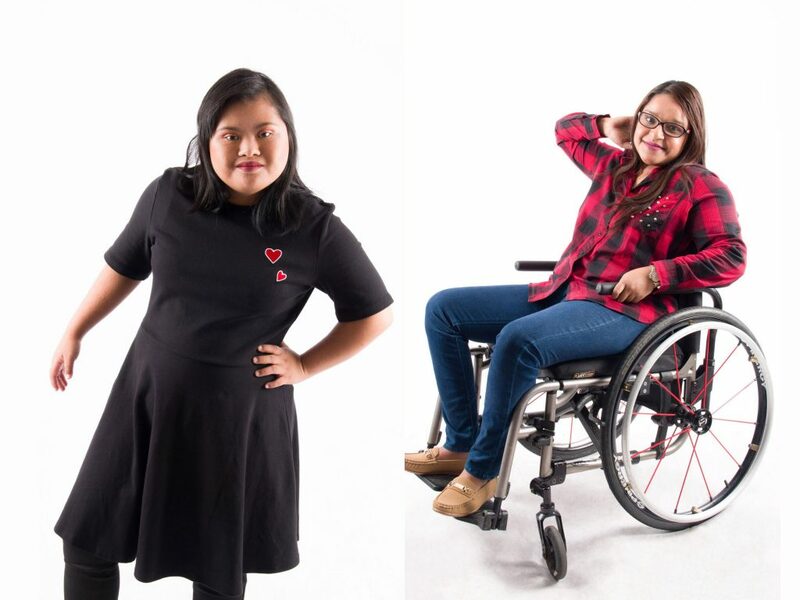 Project DON is a talent management agency that focuses specifically on helping persons with disabilities (PWDs) get opportunities to work as models or talents for advertising, promotional campaigns, and similar activities. It was founded in July 2018 by Bernard Benzamin Nathan, his sister Bernadette, and close friends Nadeera and Miza. Over the past 10 years or so, there’s been plenty of discussion surrounding the topic of diversity and representation of marginalised groups, largely to mixed effect. If you can look past the obnoxious amalgam of self-righteous homilies and politically correct diatribes that have taken over the discussion surrounding inclusiveness, you’ll find at the heart of it all is the genuinely well-intentioned message of “everyone should belong”. It’s this exact message and sentiment that talent agency Project DON wants to bring to light. 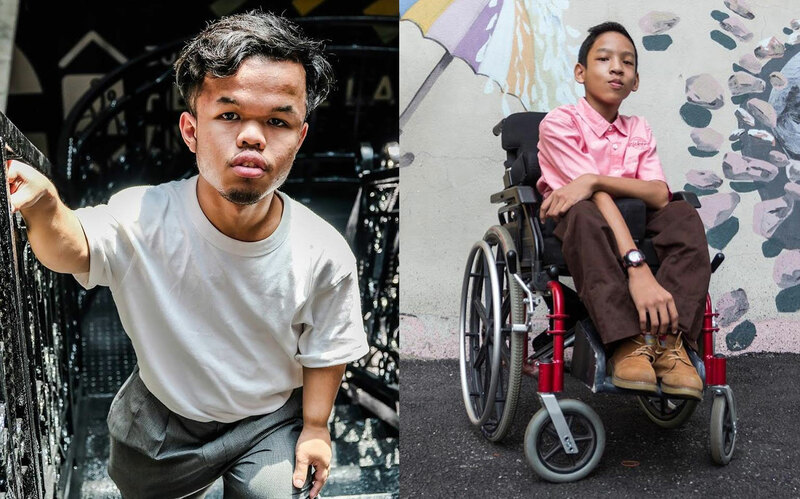 Their way of doing it is by promoting a group of individuals—more commonly referred to as persons with disabilities (PWD) or orang kurang upaya (OKU)—as fashion models, actors, singers, etcetera. Working to become the go-to talent agency for “differently-abled” people (the term Project DON prefers to use), Project DON was founded in July this year by 21-year-old Bernard Benzamin Nathan, who himself suffers from type 3 Spinal Muscular Atrophy. “I realised that whenever I would go to shopping malls or flip through magazines, there were no representation of differently-abled people,” Benjamin said. 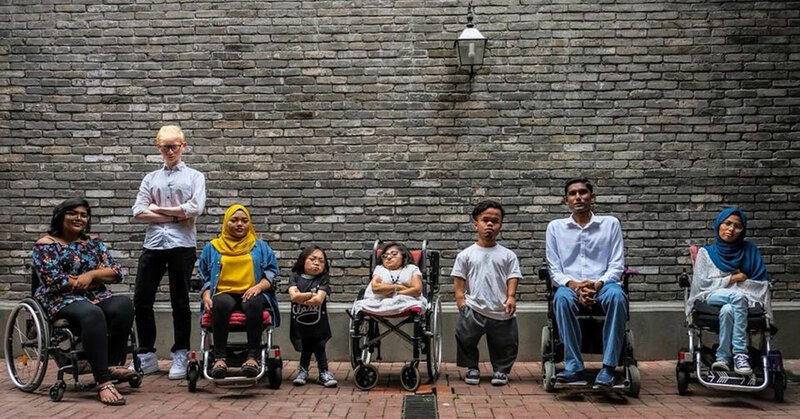 Stressing the need for an establishment such as his, Bernard pointed to the example of other countries that have already begun using differently-abled individuals in advertising and marketing, and said that it was time Malaysia started doing the same. 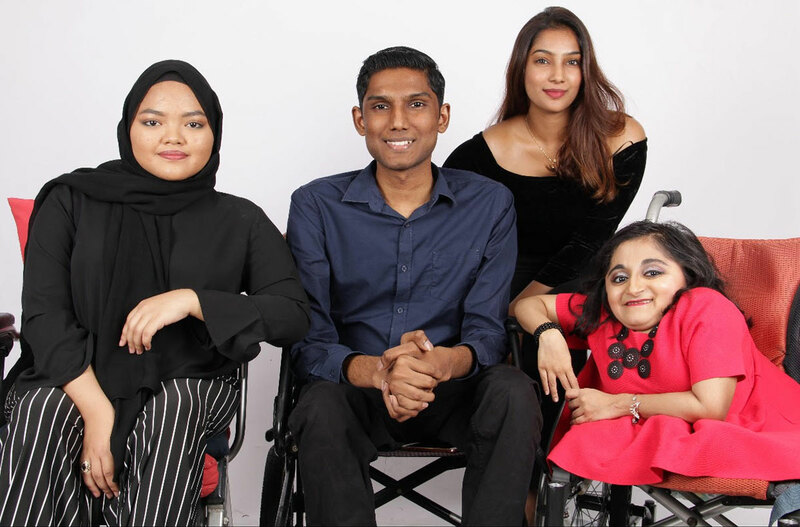 So with help from his sister Bernadette and close friends Nadeera and Miza, Bernard founded Project DON and set upon the path to creating a more inclusive Malaysian society. Put simply, Project DON’s objective is simply to get differently-abled individuals (such as those with Down syndrome, cerebral palsy, dwarfism, scoliosis or cancer, etc) more fairly represented in the media and give them an opportunity to break the stereotypes and stigmas that surround them. After all, why shouldn’t they be given the same chance as others? “We want to create an overall more positive and inclusive society where no one gets left behind just because they’re different,” Bernard said. Staying true to this ethos, Project DON takes in models with all manner of physical or mental limitations, with no age limit imposed, and helps them showcase their talents on the official website and other social media platforms, where they can be noticed by brands and businesses. “Giving them the opportunity to live their dreams also indirectly provides more job opportunities for PWDs,” Bernard added. “We also want to showcase the different skills and talents our models have such as dancing, painting, and singing, and we hope that the media can notice them and help them get job opportunities. Bernard said that so far, Project DON has already received extremely encouraging response from the general public. “The people love this idea and we’re also very grateful to have received support from celebrities and VIPs who’ve shared us on their social media channels, such as our Minister of Youth and Sports Syed Saddiq, and also actress Azura Zainal,” he said. They’ve also already managed to convince some brands such as handbag company LivLola and jewellery company Ethnic Bazaar to work alongside their talents. But in the course of running a platform such as theirs, Bernard did also bring up the problem of getting people to acknowledge the need to help these individuals get more public exposure and representation—a problem that’s sadly still more common than most of us would care to admit. “During the starting stages, the challenge was proving to people why they needed to use differently-abled models, and we also tried to get fashion brands and the media to believe in our idea and see the vision,” he explained. In the end however, the solution as it turns out, was to simply stay the path and stick to the script, or in the case of Project DON, just keep recruiting more models and doing more photo shoots until they started getting noticed. Fast forward to the present day, the Project DON now has over 18 talents under their banner, and the team faces a new challenge—getting a studio facility of their own. In this endeavour, Bernard is now seeking out financial partners and collaborators to lend a helping hand. All this is indicative of his outlook for the differently-abled talent industry, of which he thinks holds plenty of promise in regards to future growth. “There are many differently-abled and unique people out there, and society has from them because no one has given them a platform like this to showcase themselves,” he said. To know more about Project DON, head on over to their website or Facebook page.